When it comes to buying shoes, we tend to buy based on style over comfort and whatever is affordable within our budget. We never stop to think about how to choose the right shoes for our feet so that our feet won’t hurt. We also never stop and think about investing in our feet. It is only until our feet start to hurt that we start to ask questions. So before you go shopping for your next pair of cute or stylish shoes, allow for me to explain to you on what to look when you’re looking for those comfortable shoes for standing all day in. How should I choose the best comfortable shoes for standing all day? The misunderstanding about shoes is that once the shoes feel good from the moment you try them on, you’ve thought you’ve found the most comfortable shoes for standing all day in. However, there are a few things that you need to take into consideration and ask yourself. Do you know how long the breaking period for shoes is and how to break them in? Did you even know that there is a break in period? Do you know how to inspect shoes properly to analyze how supportive the shoes are for your feet? Can the shoe accommodate an orthotic? What shoes can help with your pronation, or supination? Do you know how to select the proper width and shoe size for your foot? Do you know how to get the best fit for your arch setting? These are some of the things that you should consider and evaluate when shopping for your next pair of comfortable shoes for standing all day in. Let’s take a look on how we can evaluate your shoes. Before we proceed, please grab and put in front of you a pair of your most uncomfortable shoes that you own, as well as a pair of the most comfortable shoes that you own. Why are my current shoes so uncomfortable and what should I look for in new shoes? Let’s start with your most uncomfortable shoes first. We’re first going to evaluate how much built-in support the shoe has. Pick up the shoe and try to bend it in half. If the shoe is easy to bend towards the center of the shoe, then you are not getting any lateral arch support. If the shoe is hard to bend, then there is lateral support. Now take the shoe and try to twist it. If the shoe can easily be twisted, then you don’t have any support to keep your foot stable. Next, check to see if you can remove the inner sole. If you can, once it’s out, check to see how flat and flimsy it is. More than likely, the inner sole is flat and very flimsy. This is a generic footbed with no arch support. If the foot bedding cannot be removed, then it will be difficult to accommodate an orthotic. Are your shoes uncomfortable because they are bending too much? Are the shoes uncomfortable because you notice that your ankles tend to roll inward (pronation) or roll outwards (supination)? Do your shoes hurt because they are too tight in width or too tight in length? A rule of thumb for your shoes fitting properly based on your foot length is that you usually want to go up a half a size in length. Now put on your most comfortable pair of shoes and do the same evaluation process as you did with your most uncomfortable shoes. What did you notice differences between the two pairs? This New Balance Women’s walking shoe is a control walking shoe developed for all-day comfort. It features motion control and ROLLBAR stability technologies and ABZORB midfoot cushioning for comfort throughout the day. 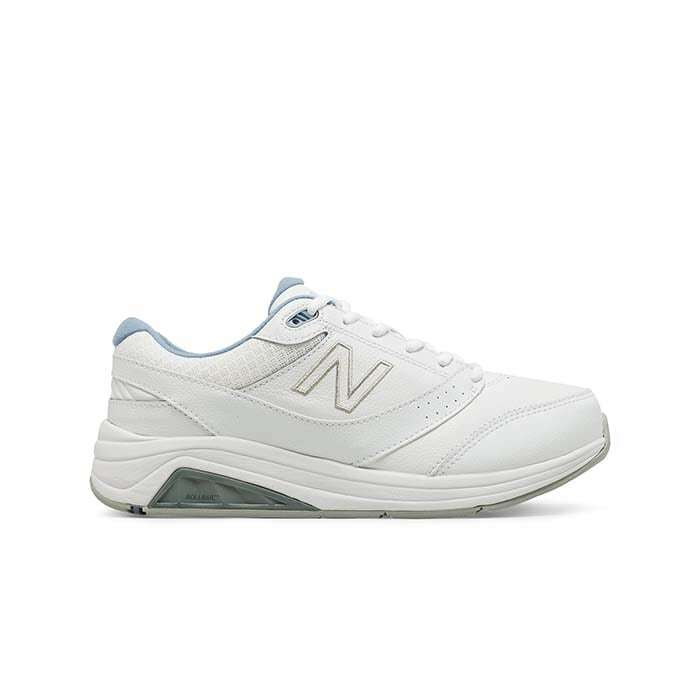 In addition, these New Balance walking shoes come with a padded tongue and a comfort foam collar to help protect your feet and ankle from rubbing. Not to mention, the rubber outsole is great for maximum outsole durability. The Brooks Women’s Ghost running shoes are designed to handle your toughest training runs with total comfort. In addition, it provides a lightweight fit and feels with engineered air mesh and minimal weight throughout. Furthermore, the shoe’s 3D Fit Print overlays provide you with a more consistent, supportive fit. Not to mention, this BioMoGo DNA midsole cushioning adapts to your stride for plush comfort underfoot, while flex grooves optimize forefoot flexibility. MBT makes it possible for you to add more movement to your everyday life. It aims to protect your back, knees, and muscles from harmful shock from walking on hard surfaces. So much, that its revolutionary footwear helps increase muscle activation and improves posture and balance. In addition, they keep your heels secured, straighten your back and legs, improve your posture and gait when walking. Not to mention, their unique Sensor Technology and Pivot Axis help reestablish your natural balance as you move through your day. This cute Ziera Innes is a comfortable sandal that is made for all-day wear and comfort.This comfortable sandal contours and cradles around your foot and heel while supporting your arches for maximum underfoot comfort. Not to mention, a super soft cow leather lining molds to your foot shape giving you maximum comfort. If you require additional support from over-the-counter arch support or orthotics, you can swap out the sandal’s removable footbed for your orthotics. Finally, the rubber sole is flexible and durable. This Aetrex Jillian is made with beautiful detailed adjustable straps that secure your feet from moving. In addition, a rear strap further secures your feet. Not to mention, each pair of Aetrex Jillian sandals come are made with a built-in Lynco orthotic footbed with memory foam cushioning for support, balance, and alignment. Finally, a met bar pod is added to help reduce the stress at the ball of your foot and Jillian its medial support pod helps minimize overpronation. The Dansko Emma is a versatile lace-up shoe that earns high marks for all-day comfort, support, and everyday style. This sleek Dansko shoe’s contoured polyurethane footbed is made of memory foam which cradles your foot. Plus, its built-in arch support provides the support and comfort you need to keep you going through your busy days. However, if you require additional support from over-the-counter orthotics or arch supports, the shoes’ insoles are removable for easy modifications. This Mephisto Prudy is a lightweight sandal featuring soft leather adjustable uppers and leather linings with adjustable hook and loop straps for a customized and secure fit. 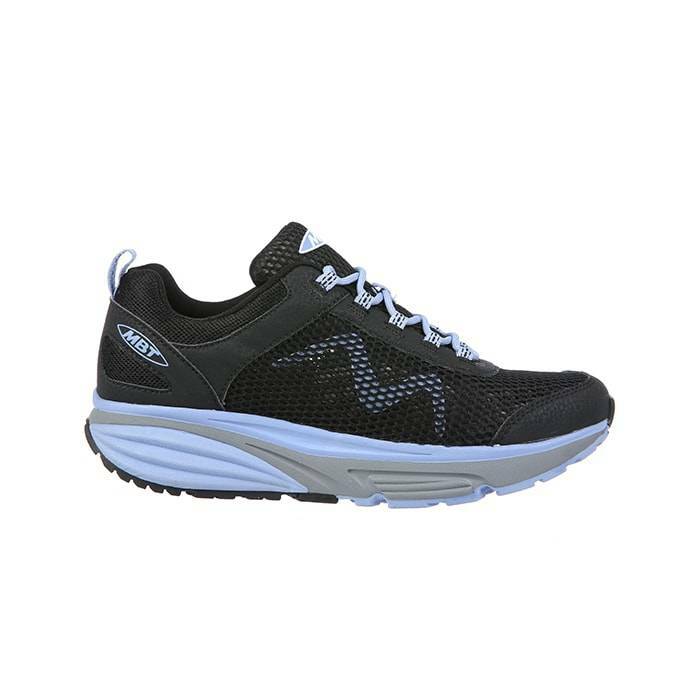 Mephisto’s revolutionary Soft-Air midsole minimizes the shock from walking, offering protection to your feet, relief for your joints, and back. In addition, its midsole is also breathable which enhances air circulation to ensure a healthier environment for your feet. There is no doubt this Mephisto sandal will keep you comfortable standing on your feet on every occasion. The Allrounder by Mephisto Women’s Niro is a cute, comfortable and stylish maryjane inspired by your outdoor sneaker. Its built with an adjustable heel strap and adjustable instep strap to give secured fit and ultimate comfort. It also features a soft mesh fabric lining, with a comfort insole designed to mold to your feet. 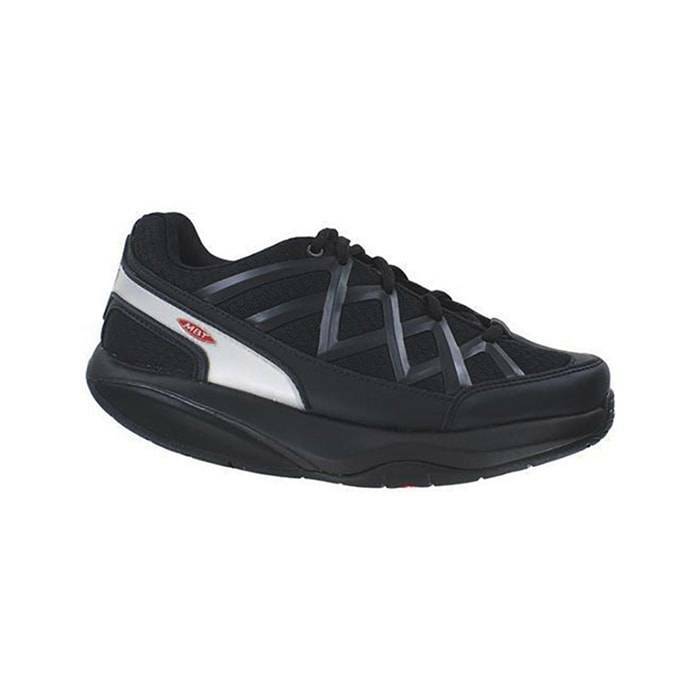 Not to mention, the shoes’ multi-grip rubber outsole provides great cushioning and traction for a variety of terrain. Furthermore, this comfortable shoe is perfect for those who have a passion for the outdoors as well as the sidewalks of the city. 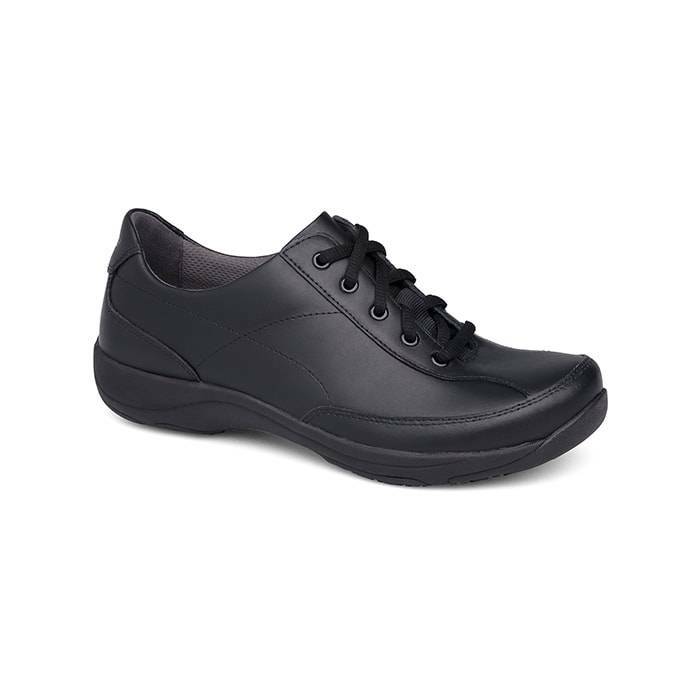 The Softwalk Meredith is a great shoe for the service professional who spend hours walking or standing on their feet. This Softwalk features a whole new bottom from Softwalk that is made with ultra lightweight and flexible EVA that returns energy with each step. In addition, the shoes’ outstanding slip-resistant gripping rubber pad system provides traction and spring in every step. Not to mention, this Meredith features a dual-density footbed that keeps your feet and heels cushioned every step. The Aetrex Berries gently conform to your foot, without any pressure or discomfort. By blending spandex, memory foam and colorful 4-way stretch fabrics the Aetrex Berries are not only comfortable but also good looking. In addition, Aetrex has added stylish accents and stitching for an extra element of style and sophistication. Just as importantly, Aetrex’s patented Mozaic insole is included to ensure 360 degrees of customized comfort for the ultimate footwear experience. This New Balance men’s walking shoe is a control walking shoe developed for all-day comfort. It features motion control and ROLLBAR stability technologies and ABZORB midfoot cushioning for comfort throughout the day. 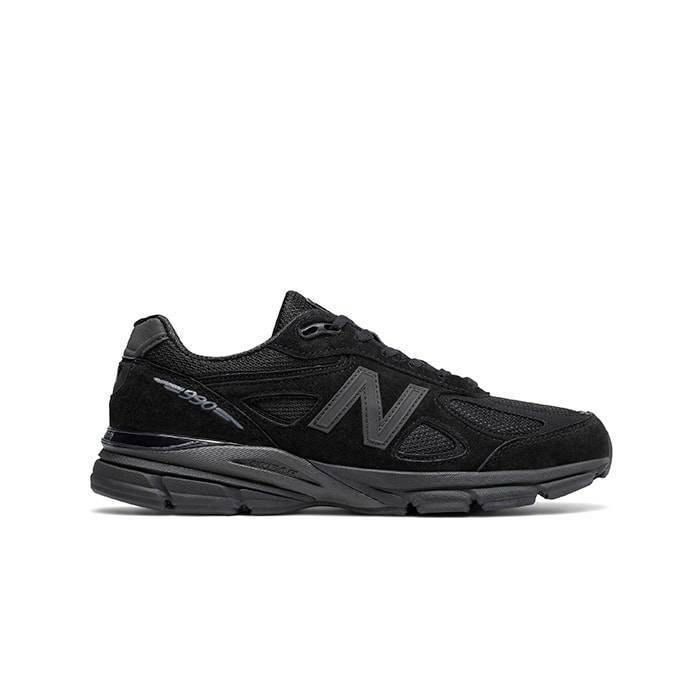 In addition, this New Balance walking shoe comes with a padded tongue and a comfort foam collar to help protect your feet and ankle from rubbing. Not to mention, the rubber outsole is great for maximum outsole durability. The Brooks Men’s Ghost running shoes are designed to handle your toughest training runs with total comfort. In addition, it provides a lightweight fit and feels with engineered air mesh and minimal weight throughout. Furthermore, the shoe’s 3D Fit Print overlays provide you with a more consistent, supportive fit. Not to mention, this BioMoGo DNA midsole cushioning adapts to your stride for plush comfort underfoot, while flex grooves optimize forefoot flexibility. MBT makes it possible for you to add more movement into your everyday life. It aims to protect your back, knees, and muscles from harmful shock from walking on hard surfaces. So much, that its revolutionary footwear helps increase muscle activation and improves posture and balance. In addition, they keep your heels secured, straighten your back and legs, improve your posture and gait when walking. Not to mention, their unique Sensor Technology and Pivot Axis help reestablish your natural balance as you move through your day. The World Tour is built using Rockport’s Walking Platform Construction which helps provide a wide base of support for your heel and adds forefoot. In addition, it’s padded tongue and collar helps protect you from excessive rubbing and helps prevent blisters. 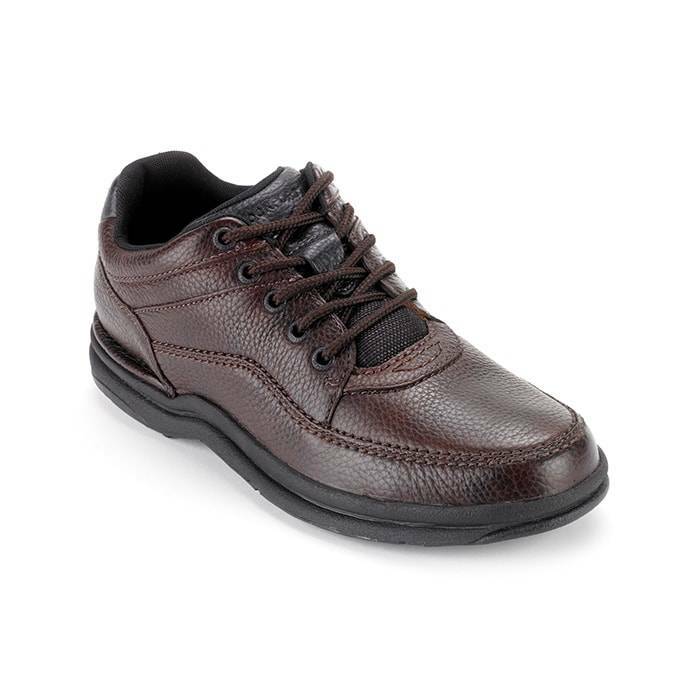 Its full-grain leather conforms to your foot over time for a custom, comfortable fit and is easy to maintain. 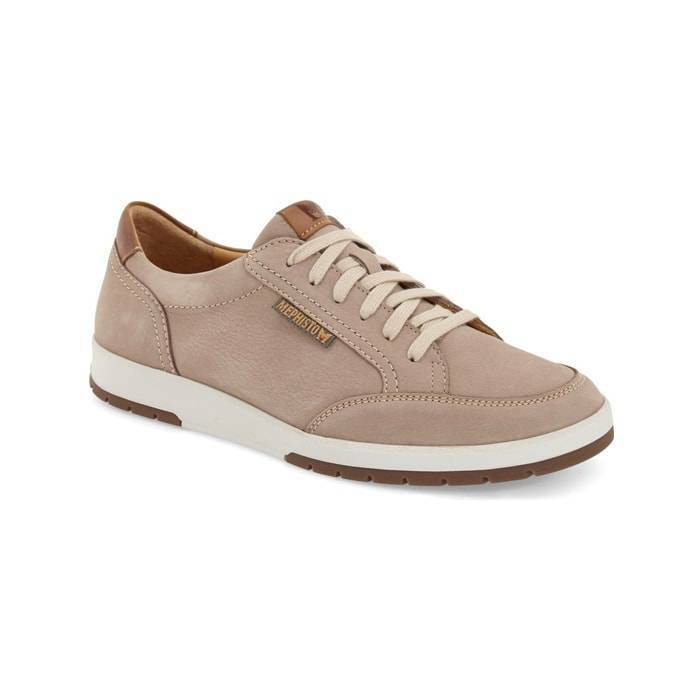 Just like all Mephisto shoes, this LUdo casual sneaker is built with their Soft-air technology. This soft-air provide all-day tireless walking from the reduction in shock impacts from walking to an absolute minimum. Another great feature and benefit to wearing Mephistos is the overall foot climate. Your foot will stay nice and cool all day with the natural inner lining so that you don’t have to worry about feet perspiration. Not only is this Ludo considered one of the most comfortable shoes or among the best walking shoes, but you will also agree they are stylish. 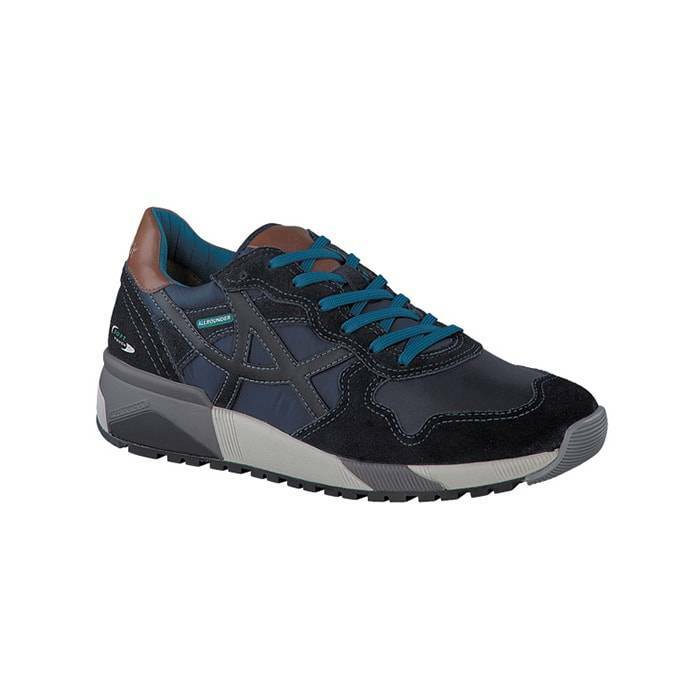 The Allrounder Men’s Speed is a sporty and light men’s sneaker style with soft fabric linings and removable footbeds. The shoe features a shock absorber located in the heel area which ensures optimum absorption with every step. In addition, its abrasion-resistant sole was made with a special GRIP profile for a secure grip with every step. Not to mention, this Speed features Soft Air Technology for shock absorption and long-lasting comfort. Without a doubt, this Allrounder Speed Sneaker can stand up to long days on the go. The New Balance 990 is a full motion control shoe which means that it has built-in pronation and supination support as well as lateral arch support. This shoe keeps your foot from caving inwards which is the pronation and it keeps your foot from having an outward rolling motion which is the supination control. Also built into the New Balance 990 is a lateral arch support which helps keep the center of your foot from bending. All of these features built into a shoe will put less stress and fatigue on your feet to help you walk all day. The Brooks Addiction Walker hold up to its name by delivering durability, cushioning with energy-returning MoGo midsoles, full-grain leather upper, and reliable slip-resistant outsole. 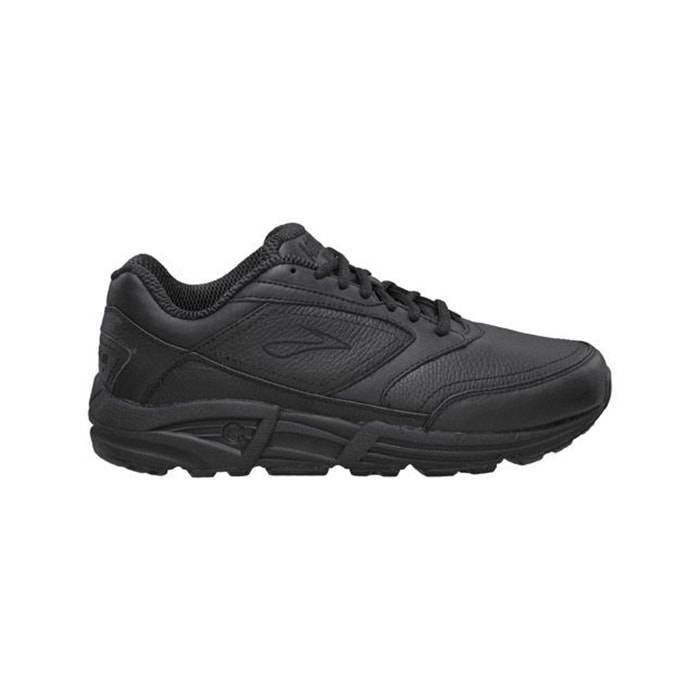 As result, this Brooks walking shoe is great for work, walking on the road or on the track. In addition, this shoe is loaded with support for your low arches and control for your overpronation. 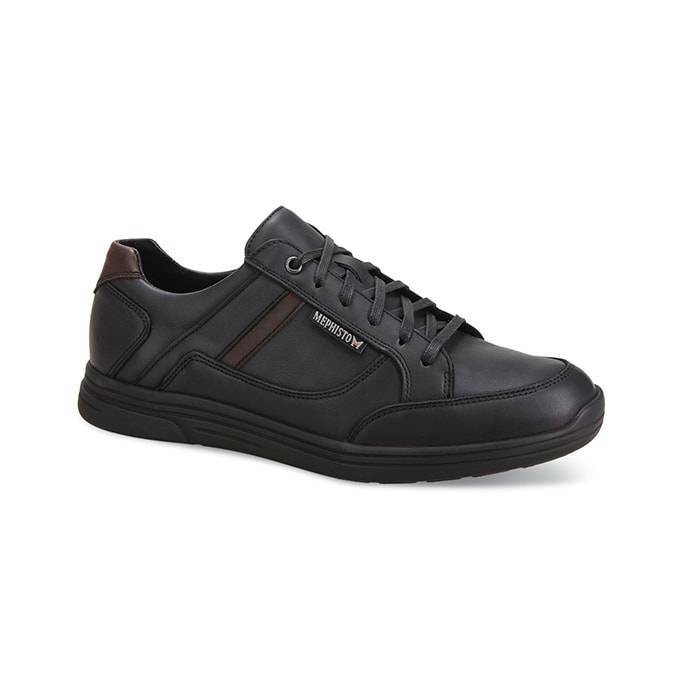 This Mephisto Frank men’s casual walking shoe is the perfect choice for those days where having sore feet is not an option. This high-quality Mephisto features a genuine leather upper with a sophisticated look. In addition, the shoe’s leather is lined which creates an environment inside the shoe that increases ventilation. Not to mention, Frank features Mephisto’s Air Jet system which channels air throughout the shoe. Finally, the Frank was made with a natural rubber outsole for shock absorption. 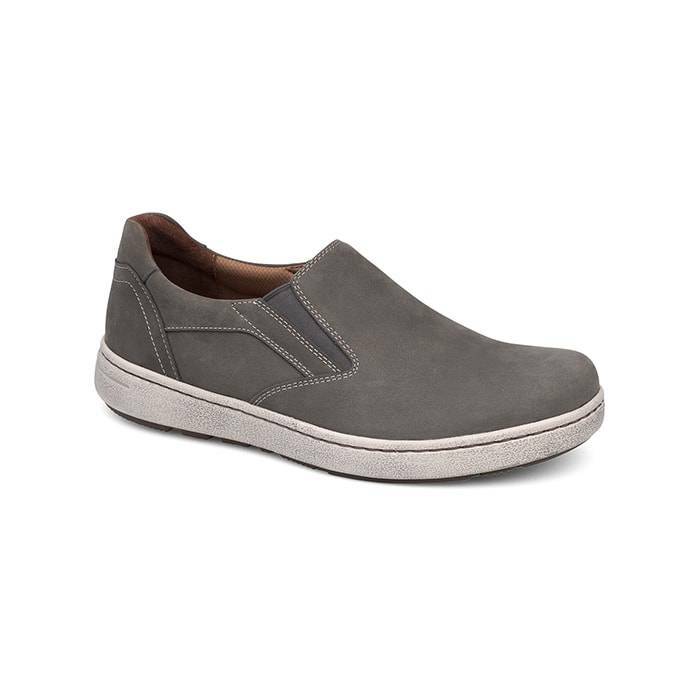 This Dansko Viktor slip-on men’s is perfect for everyday comfort. This men’s shoe features water-resistant uppers, twin goring, removable outsoles, and slip-resistant outsoles. For one thing, its durable slip-resistant rubber outsole delivers maximum traction and stability. Why should I get a free foot analysis when shopping comfortable shoes for standing all day? There are many factors that come into play when selecting the best comfortable shoes for standing all day, which is why it’s best to get fitted for shoes by a fit specialist. In addition, every shoe brand runs differently in fit. When you get properly fitted for shoes such as what Lucky Feet Shoes offers with our free foot analysis, your foot is measured not only based on the length (heel to toe), but also based on your arch (heel to ball). That’s just the first step into selecting the most comfortable shoes for standing all day in. The second step is to have a fit specialist who understands how each shoe brand runs in size and width, help you get the best shoe for your foot based on what kind of daily activities are and evaluating your current foot conditions. Just when you thought I was finished, there is one more important aspect to consider when wanting to ensure you have and maintain comfortable shoes for standing all day in. Remember when I asked you if the inner sole can be removed or not? If the inner sole can be removed, I highly recommend getting the right arch support orthotic for your foot type. Arch supports help put less stress and fatigue on your feet as well as give you better posture and helps to correct the biomechanics of your body alignment. The arch support will go inside of your shoe to replace the generic flat insole that the shoe came with. There are various grade of arch supports, so it is best to get fitted for one by a fit specialist. Lucky Feet Shoes offers a free foot analysis to help you get the right arch support for your foot type. There are also dress orthotics available as well to enhance the overall fit and comfort of your dress shoes. If you want a more custom fit, Lucky Feet Shoes also offers custom orthotics which are unique to your feet. These last for about 5 years while the over the counter orthotics last anywhere between 8 months to 1 year. When you first start using your orthotics, there is a two-week break in period. This break in period allows for your feet to get properly adjusted to the new change. This break in period method is also the same for shoes. When you first start to wear your shoes and orthotics, wear them for a few hours the first day, and gradually add an hour or more each day. Come into any one of our stores located in Costa Mesa, Anaheim Hills, Rancho Cucamonga, Riverside, San Dimas, Long Beach, Temecula, La Quinta and Palm Desert, today and shop our comfortable shoes for standing all day! At Lucky Feet Shoes, we carry many comfortable shoes: sandals, heels, walking shoes, running shoes, casual sneakers, clogs, wedges, flats, booties, and boots. Come and visit us today! If you are looking for Comfortable Men’s and Women’s Shoes in Orange County, the Inland Empire, Los Angeles County, Temecula or Riverside; we have nine comfort shoe stores to serve you!